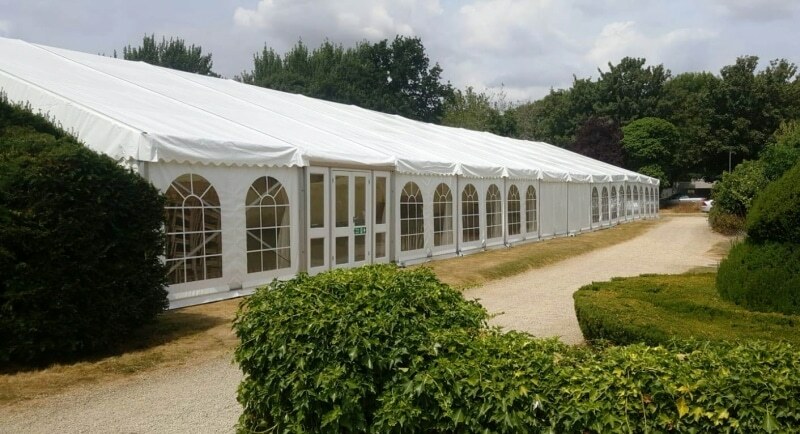 We currently have a corporate marquee set up at Weston Manor in Oxfordshire. 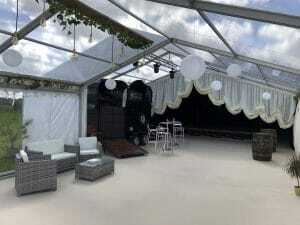 A big 12m x 30m fitted out with tables and chairs for all guests. 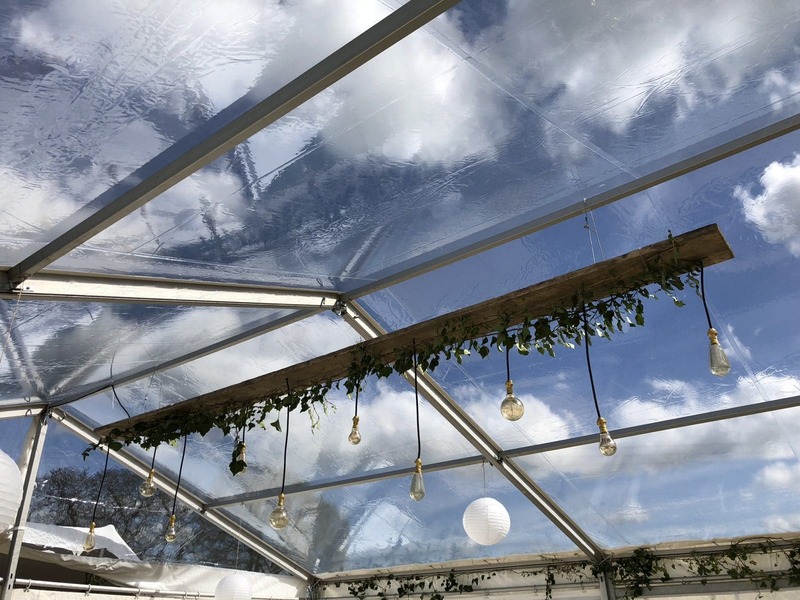 We put this up in the lovely spring sunshine on bank holiday Saturday which was such a brilliant day to put up a marquee, nothing beats being outdoors. We had hard flooring down and all ivory lined with clear windows looking out to the front, which gave a amazing peripheral view. 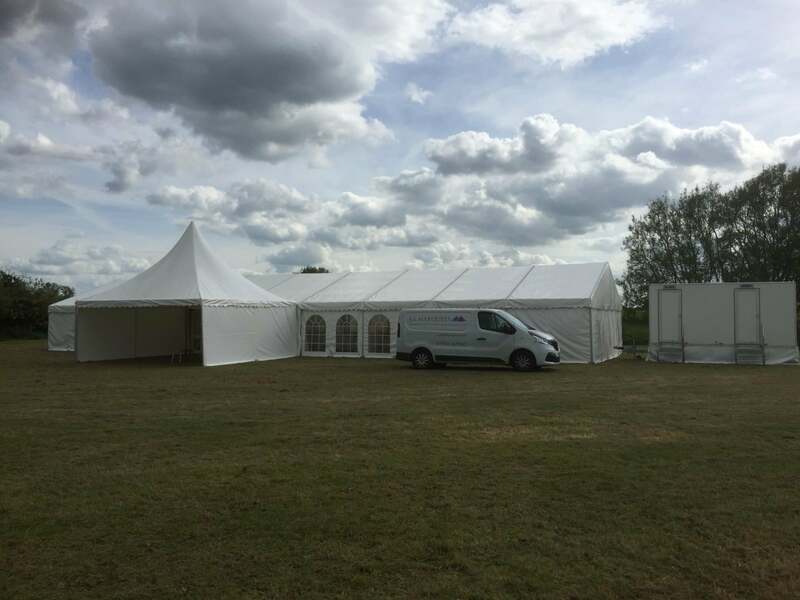 We also have another 12m x 24m at Blenheim this weekend for the pink ribbion walk, which is a charity walk raising money for breast cancer. Both big Marquees come down on Sunday, which will be a big day for all of J & L Marquees. We are just about ready for the big wedding party next weekend. We have a few viewings for this marquee during the week and if you would like to come view please let us know….. if you are planning a wedding this is something you DO NOT want to miss. 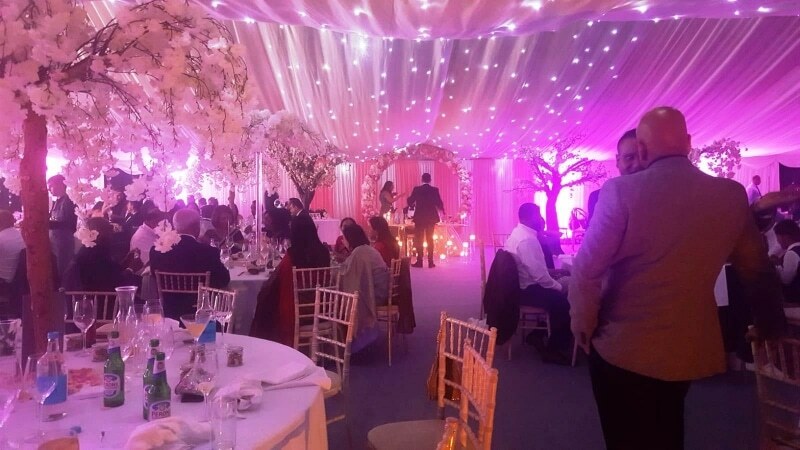 This marquee brings something totally different to your wedding day. A lovely time lapse of our hard working helpers. We couldn’t have made this complete without them. Can’t wait to show you more!!! On to our Wedding Marquee season. 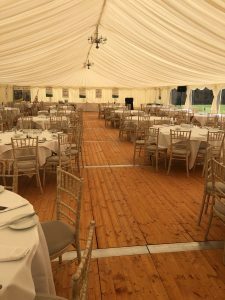 We had a reasonably busy winter during Christmas and New Year with two marquees up at The Red Lion in Oxford and another at the Royal Saracens Head in Beaconsfield. 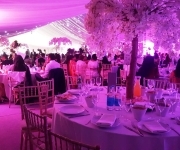 Both marquees were to cover their busy time with Christmas parties and work parties. We are now looking ahead to our first Wedding Marquee for Spring! 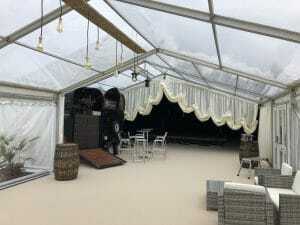 The season kicks off with our very own Wedding Marquee, which we are very excited to share with you all. Joel and Lee-Anne 6 months ago tied the knot in Lee-Anne’s home country of New Zealand and now they are wanting to have a party here in England for all their friends and family that could not make it. 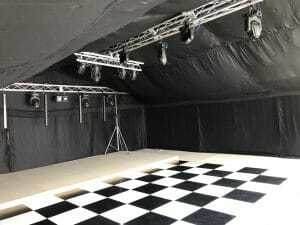 We can’t wait to share with you all the exciting ideas we have for this marquee. We will be having viewing for this between April 25th – April 28th. So if anyone you know would like to come for a look please get in contact with us. 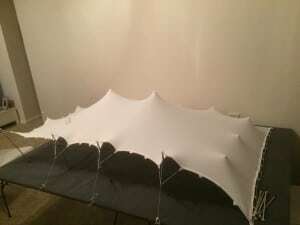 We will be featuring the stretch tent and attaching it to our framed marquee. Lots of the decorations will be very low key but I think will be very effective for the style we are wanting. Luxury Toilet – these will be situated in the a separate marquee but still attached so guests do not need to go outside to do their business. 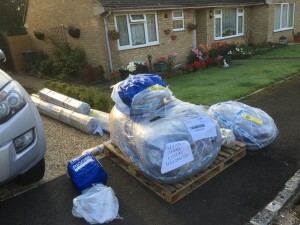 The Pig Roast Hire Company from Chipping Norton -We really wanted a low key meal that everyone would love and is so easy to please everyone. We have got a band coming from London called the Daddyo’s. We have seen a few videos but have not seem them live yet so watch this space we will let you know. We will be doing our own flowers with flowers in season at this time. We are hoping to use a bit of cow parsley and ivy throughout the tent. Joel’s sister in law is decorating some jars at the moment which look fabulous – will upload some photos soon. Looking forward to showing you all some photos of the coming weeks and of the final product. Watch this space!! 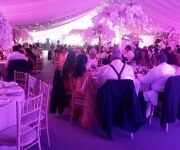 Another good Wedding season near enough done at J & L marquees. 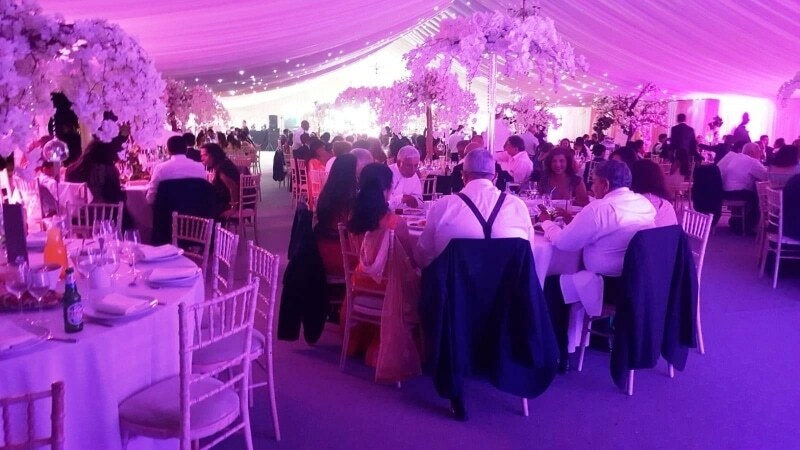 We had another record year with lots of weddings, a few corporate and loads of parties. 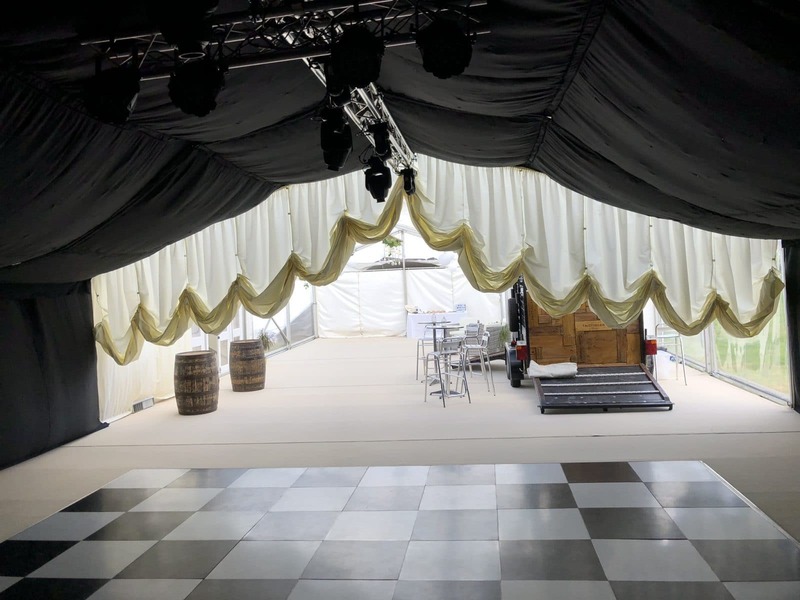 We have expanded our equipment, including new clear marquees, flooring and a brand new lighting option made on site, the up and coming stretch tent and much more. We are now in the process of updating the website and working with a company to produce brochures and other advertising products. We have marquees up on long term hire in Oxfordshire, Buckinghamshire and Warwickshire so if you would like to view any marquees what may be of interest please get in touch. Just wanted to say a massive thank you to you and your family for making Sophie’s wedding a fantastic day!!! Your service was first class, the marquee was superb and we could not have found another company that would have done us so proud!!! We would like to wish you all the best for the future. Today we had the fun of making the Model Stretch Tent. Its a smaller version of about 4ftx6ft. This smaller model is the exact replica of the big one so you are able to get a feel of exactly how you would like the tent to look. 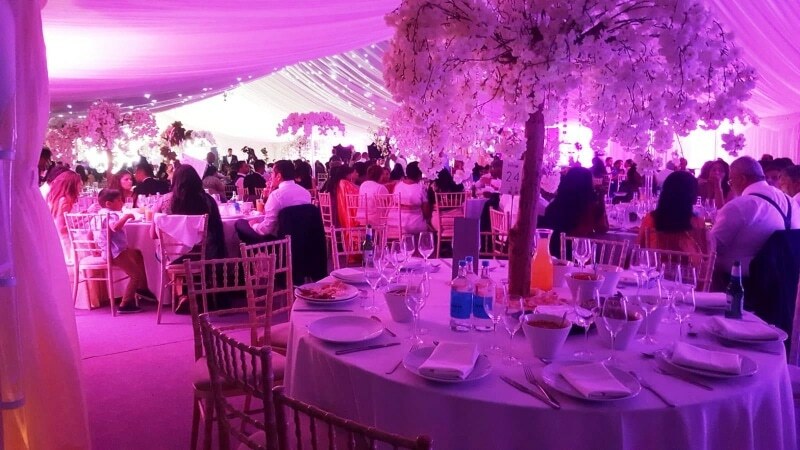 By putting poles anywhere you like this will give it a personalised feel and something completely different from another party. 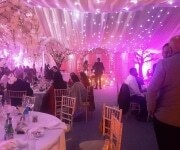 This will be featuring at future Wedding Fares so look out for J & L Marquees to take a look! We are excited to see our New Stretch Tent arrive today. We are one of the few companies to hold one of these fabulous Stretch tents in the UK. With its stretch material it can be made into any shape wanted from a floating canopied area to be fully enclosed. Watch this space to see it up in action! 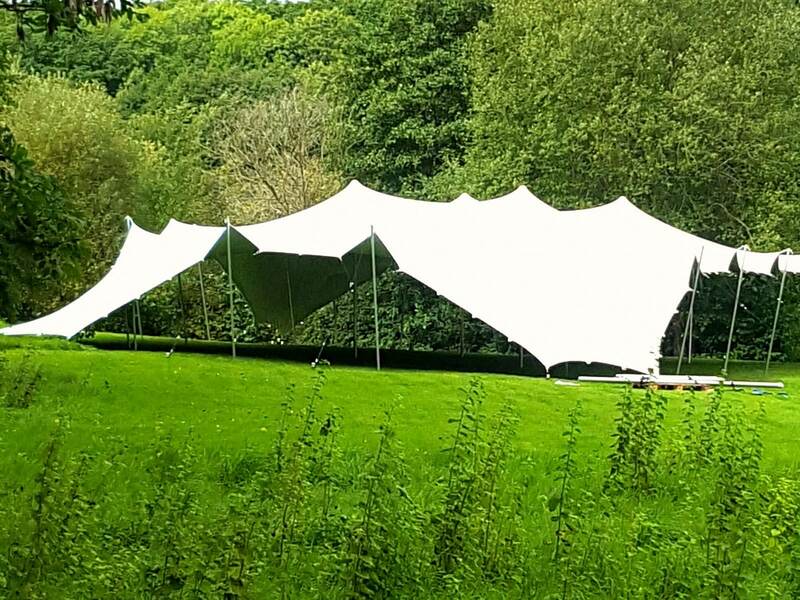 We set of in force on the 28th of may for a Wedding Marquee at Newbridge, near standlake. 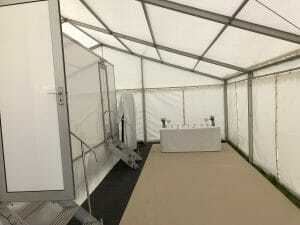 We supplied a 9 x 24m marquee with a lounge and entrance hall attached. It was all finished by the afternoon to allow the clients plenty of time to decorate by the weekend. The bride and groom were very happy with it all and the day went very well. 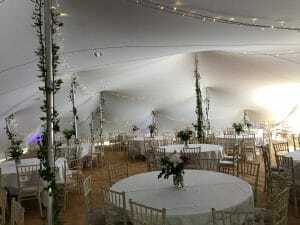 On a wonderful spring sunny Oxfordshire day J & L Marquees set off to our second Birthday Party Marquee of the season. Dane, Pete, Luke and Vicky all ready to help erect the 12×6 structure it was easy work in the exceptional weather. 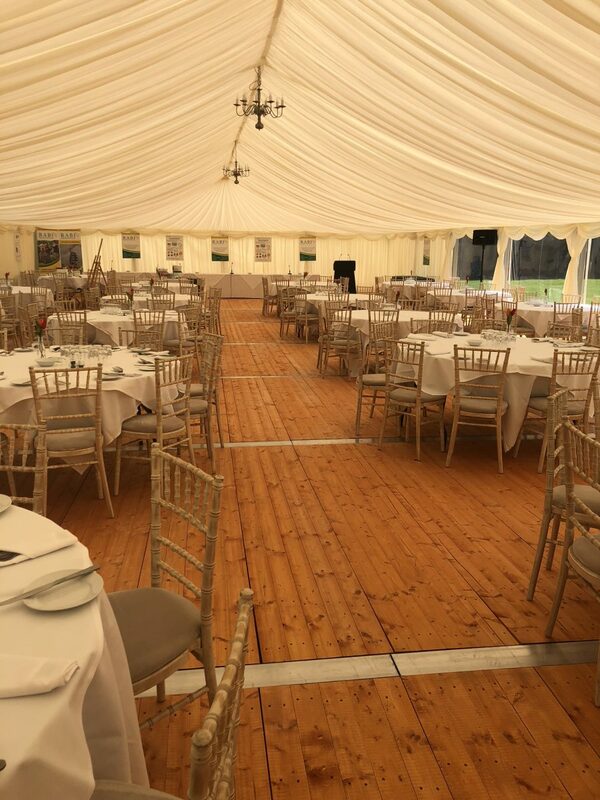 The 18th Birthday Party Marquee was situated in the lovely village of Great Tew and is to set off on Friday night. 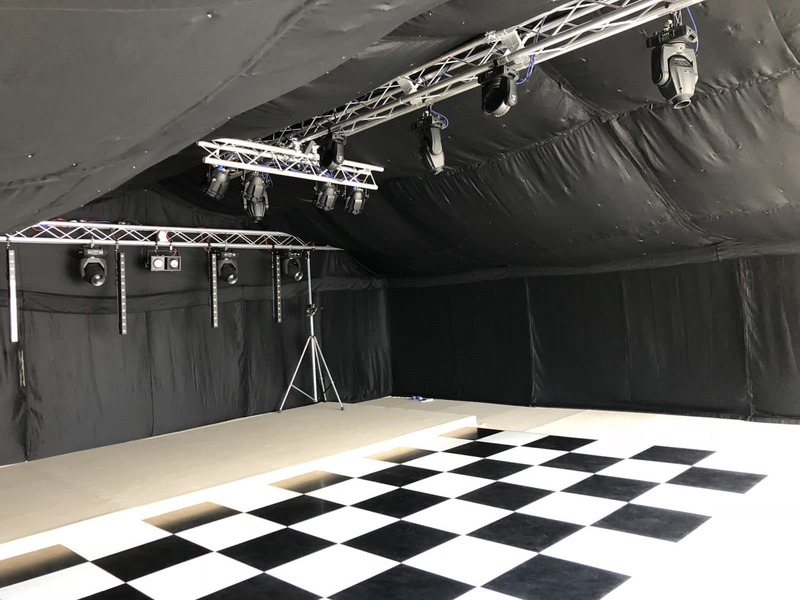 As per the customer request we set up starlight black out linings with a black and white chequered dance floor and LED effect lighting created a perfect party atmosphere. 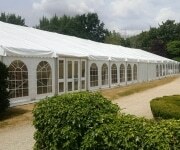 The customer was very pleased with the marquee and looking forward to Friday nights party.